Kanye West's First Instagram Is a Total Recall Screenshot, But What Does It Mean? 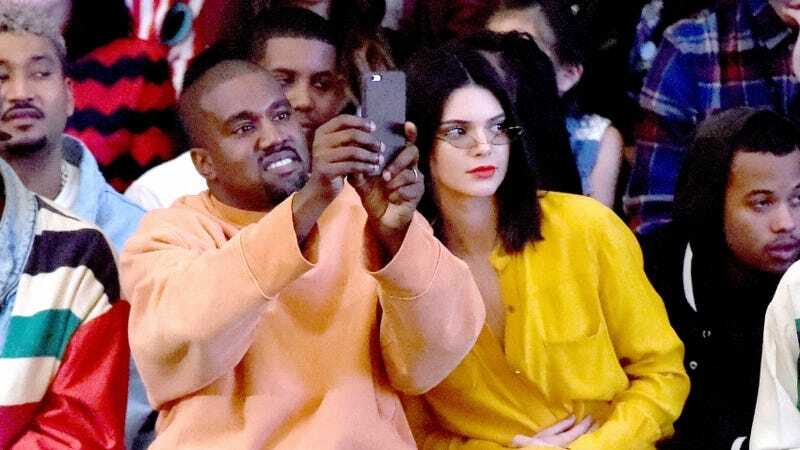 Kanye West has officially joined Instagram with no profile picture, bio, or selfie with photo-loving wife Kim Kardashian West, just a single eyebrow-raising post. It’s a screenshot of the Johnny Cab scene from Arnold Schwarzenegger’s film Total Recall. This raises so many questions. West tweeted months ago that he was thinking of joining Instagram, on the grounds that no one could tell him what to post. After all, his “tweets are a form of contemporary art only compromised by people trying to tell me what to tweet and not to tweet.” Seriously, those are his words. So clearly he’s the only one dictating what gets put on this newest social media platform of artistic expression. No one else is to blame for this. So... what does it all mean? Is West commenting on the artificial fragility of our reality? Is it a statement on the future of self-driving cars and the automation of the job industry? Will West be adding terrycloth turbans to his clothing line? Is he just again freaking out over a random scifi film? Clearly, there’s some bigger artistic message West is trying to get across. Otherwise, he’s taking someone else’s content without giving proper credit, and he’s totally never been accused of that. Well, clearly his continuing journey into the void of artistic perfection is working. He’s already got at least 550,000 followers.